This play follows King Henry VI, beginning with his marriage to French Margaret of Anjou. She is a student of William de la Pole, a noble who seeks to influence the king's behavior through his relationship with Margaret. Meanwhile, Duke Humphrey also is vying for the crown, and his popularity is growing. His wife studies witchcraft and summons a demon to help his cause. Gloucester ends up becoming destroyed, he is imprisoned and then dies. William de la Pole is banished for potentially having a hand in Gloucester's death. York tries to take the throne, all the while claiming he is trying to protect the King. His sons, who include the evil Richard, (who becomes Richard III,) support him. 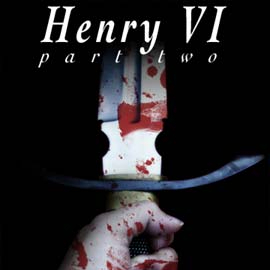 Henry VI Part 2's action leads up to the Battle of St. Albans.